One of my very best friends was a man by the name of Yacov Rambsel. Yacov passed away in July of 2005, almost 10 years ago at the age of 75, but he left a profound impression on me and on the world. Yacov was the man behind the Bible Code curtain. He introduced the Bible Code phenomenon to the world, but more importantly, the amazing Yeshua Codes. He found the name of Jesus encoded in every book of the Old Testament, in what is now called “equidistant letter sequences,” or skip patterns. Yes, the OLD TESTAMENT! What is the Hebrew name of Jesus (Yeshua) doing in the OT? I’ll never forget his first book, Yeshua: The Hebrew Factor. I read it; went into shock; and then ran it over to Gary Stearman’s house to see if his Hebrew Bible Code claims could possibly be true! And yes, our resident Hebrew scholar confirmed Yacov’s research. Not only did they find the name of Jesus, but they found entire sentences, phrases, and complicated patterns that couldn’t possibly be sheer coincidence. Most people had no idea what the Bible Codes even were back then. PITN, Grant Jeffrey, Chuck Missler and a few others began to promote Yacov’s work and I had the privilege of spending countless hours with him, recording a television interview with him and attending numerous prophecy conferences. The secular world jumped all over his spectacular discoveries and many pundits began to try and discredit “the Bible Codes.” Crazy claims of denial were made, but ultimately, if you could see through the biblical lens, you could see the remarkable patterns of Scripture as clearly as the noonday sun. FAST FORWARD ALMOST 10 YEARS! Richard Shaw, L.A. Marzulli’s partner—the man behind the camera; the co-creator of the explosive Watchers DVD Series has returned the Torah Codes to front and center prominence. Richard did it in a completely different way than Yacov. While Yacov poured over the Codes from his scrolls and Interlinear Bibles, Richard got on a plane, flew straight to Israel, and went right to the leading Torah Code experts in the world— famous Jewish Rabbis like Rabbi Glazerson, Eliyahu Rips, Robert Haralick and Alex Rotenberg, men who’ve spent a lifetime examining this bizarre phenomenon. The results are truly extraordinary. Not only did Richard explore the minds of some of the smartest men alive today, he found himself in Israel during a time of great trouble. Missiles were flying all across the tiny country and Richard was on the front lines, examining bomb shelters, identifying missiles up close and personal (a little too close!) and giving us a small taste of what its like to live in Israel during these frightening skirmishes. It seemed like he was ready to pick up a rifle, put on a helmet and go to war! What an exciting documentary! This was a difficult subject to capture on film and it was a real labor of love for this extraordinary visual genius. Here’s what Richard has to say about his 65-minute film. There is a hidden code in the TORAH, the first five books of the Old Testament. The Code is real and mathematically provable. Incredibly, the Code seems to have information about what is happening in the world today. Names, places and world events are all encoded. The TORAH is not a crystal ball but new clues seem to indicate that it was meant for our generation. 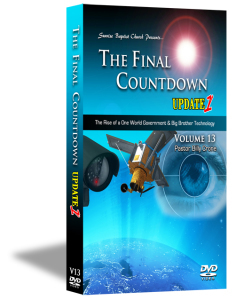 It’s our time to discover the 2,500 year old secrets of the Torah Codes. Some rabbis make the extraordinary claim that every individual who has ever lived and every event that has ever taken place is recorded in the Torah! Since the first introduction of computers in the 70s, a select group of rabbis and professors have been working to crack the Bible Code. 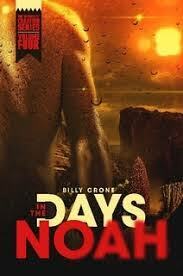 You’ll meet them face to face, hear their biblical wisdom and see what they’ve discovered. I can guarantee you that you won’t hear about this film in the secular press. The Torah seems to be encoded with major world events including anything that is important to God’s Chosen People, Israel. The Hamas wars — rockets and terrorist attacks; Major events; The Economy; the Twin Towers; the BP Oil disaster, Terror Attacks; the year 2012 — all have been encoded within the pages of the Torah. Director Richard Shaw interviews the world’s experts on the Codes, as well as explorers like L.A. Marzulli, IDF Reserve Captain, Dan Gordon, Col. Richard Kemp CBE, and many others that know the truth of what is happening in Israel. You’ll walk on the Gaza border and see actual Hamas missiles used to kill Jewish schoolchildren. Richard takes an incredible look at an ancient mystery that seems to have been locked away for our generation—the last generation. You’re already familiar with Richard’s award-winning work from the WATCHERS series. In Torah Codes, End to Darkness, Richard takes you through the real issues Israel faces while working with the world experts in the Codes. They show their most important Tables on those topics — mirroring what is happening today in Israel and the most recent, volatile Codes. 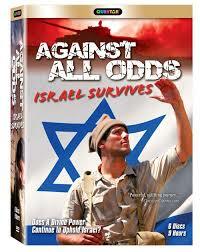 Also, this is the first film to prove that only the Torah can deliver results, unlike any other set of texts. Torah Codes answers the critics loudly and clearly! The film shows actual computer searches and probability results between other Hebrew “monkey” texts and the Torah. Renown Professor, Eliyahu Rips, tells us how he nearly ended his life to protest the Soviet invasion of Czechoslovakia, and how he went from a prisoner of the KGB to a world-class professor of mathematics in Israel. How trained as an atheist, then later became interested in the miracles he read about in the Torah and set about to somehow prove it scientifically. 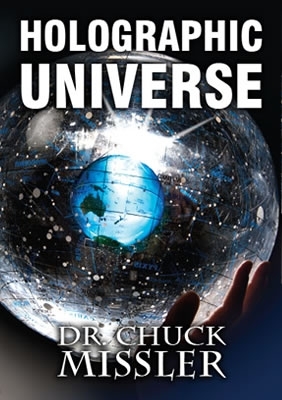 The work he and his staff started was suddenly opening up secrets locked away for thousands of years, and proving that there really was “a creator of the world.” Richard takes us to ancient Hebrew expert, Nir Studnitsky, whose research seems to suggest that in the un-edited Hebrew text in the Torah, it refers to the giants, and “cities in the sky.” WOW! Right out of the Watchers Series! 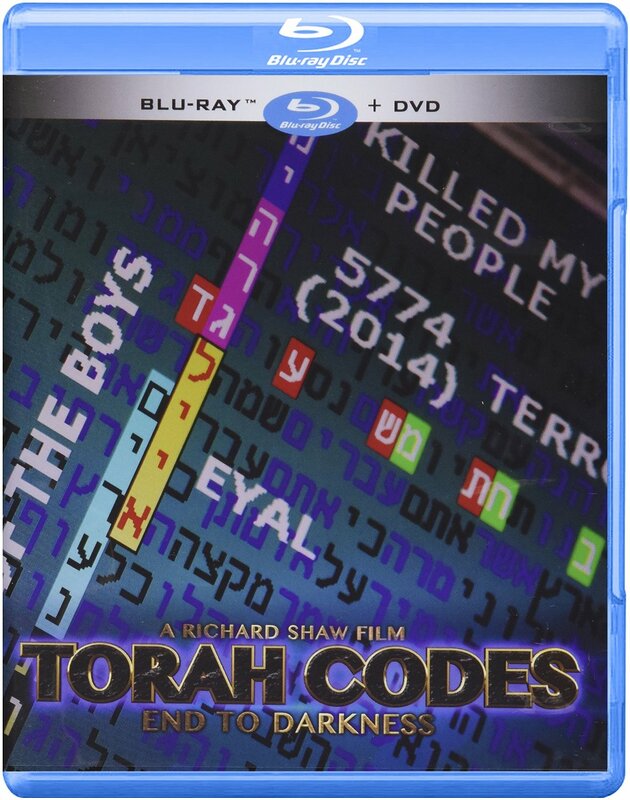 In the two-disc set, the Special Features section includes a collection of the 41 Torah Code tables seen in the film that you can study and click through at your leisure. Don’t miss this opportunity to see how Israel continues to be the recipient of terrorist attacks that continue to fail by some unseen force, while the Torah Codes seem to document all the details before they happen. Miracles are happening in Israel. God is protecting the Jewish people supernaturally. This is a must-have DVD! The Bible Codes are back!